In January 1999 Moira Vincentelli visited Jamaica to investigate women’s traditional pottery. This website contains extracts from interviews and video of Marlene ‘Munchie’ Rhoden and Cecil Baugh. 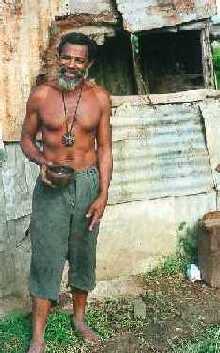 Before Europeans arrived in Jamaica the Amerindian Taino peoples made fine-walled handbuilt pottery fired black. There is some evidence that this was made by women as it continued into the period of Spanish settlement. However the pottery traditions that survived into the twentieth century appear to owe more to the West African traditions that came with the settlement of slaves. It is surprising that such low technology systems were not supplanted quite quickly in a society dominated by Europeans and in some places, such as Barbados, they were. There is good clay in the Liguanea Plain around the area of Kingston and Spanish Town in the south of the island and it is here that most of the traditional pottery is produced. In his interview Cecil Baugh describes two systems of production. One based in the Spanish Town area, almost exclusively female, where pots are formed in a ‘keke’ or wide mould and are fired in an open fire. 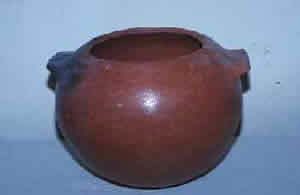 These pots are particularly valued as cooking pots. The other tradition is one where the potter stands over the lump of clay and pulls up the sides, forming the shape walking round the pot eventually adding coils of clay. This pottery is produced in the Kingston area and nowadays is mainly produced by men although earlier this century women predominated. These pots are usually fired in simple updraught kilns. In earlier times this ware had a wide range of domestic uses, but was deemed not suitable as cookware. 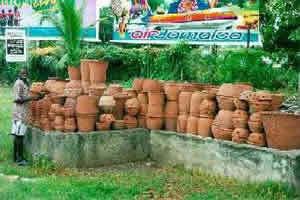 These large jars and bowls are now known as ‘flower pots’ and used as decorative planters for patios and gardens. One of the last of the Spanish Town potters, Marlene ‘Munchie’ Rhoden markets her work in part under the name of her mother, Ma-Lou who died in 1992. 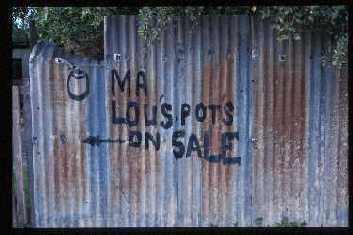 The work of Ma-Lou has been well documented in a number of publications. The tradition has been handed down for generations from mother to daughter. At one time pottery was in great demand for cooking and storing food but in these days it is necessary to find another market for pots. Although Munchie continues to work in the traditional manner she has had to adapt to present day demands in changing the shape of some of her pots. The most popular pot, which was originally a rounded bottom cooking pot is now made with a flattened base and used more as ornament. In the interview Munchie describes her craft and eloquently elucidates the problems of making a living from her activity. Although she would like to see her young daughter continue the family tradition she is not sure that there would be sufficient income to make it worthwhile. In fact when she was demonstrating her work for the filming one of her grown up sons was called in to help with the finishing and firing.